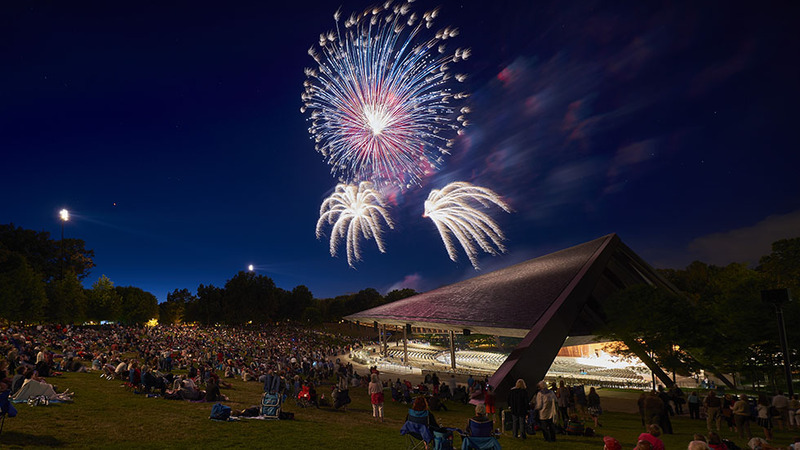 Blossom Music Center, the summer home of The Cleveland Orchestra and Ohio’s iconic outdoor venue for classical, country, hip-hop, pop and rock music, is celebrating its 50th anniversary! 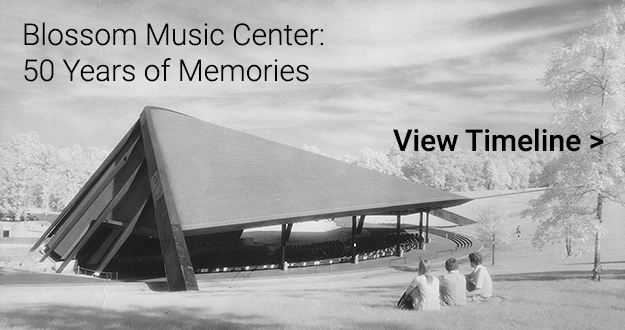 A new ideastream production, Blossom Music Center – 50 Years and Counting, commemorates the history of Blossom Music Center and re-lives highlights from concerts through the years. 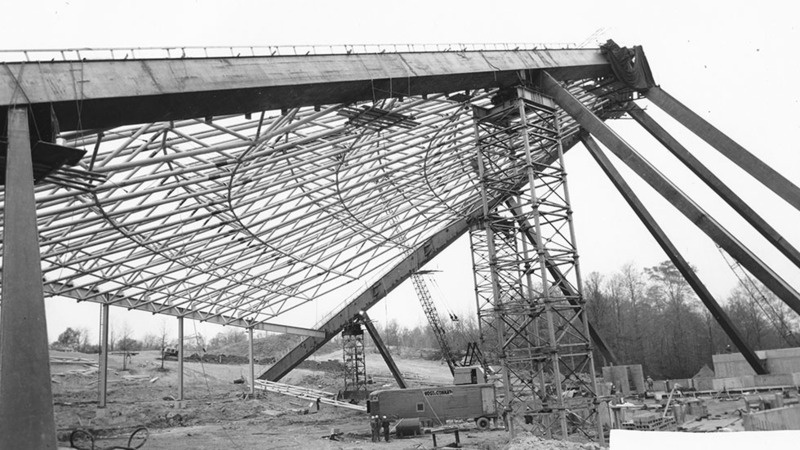 When Cleveland architecture firm Shafer, Flynn and Van Dijk was chosen to oversee the plan and design of the iconic Blossom Music Center in 1965, it secured the commission of a lifetime. Upon opening in 1968, the building itself was hailed as a remarkable achievement, and its purpose solved a critical issue plaguing The Cleveland Orchestra—a way to employ its musicians full-time. From early plans to opening night, discover how the iconic open-air hall went from an idea on a paper napkin to the magnificent structure and grounds that it is today. During an interview backstage at his recent concert at Blossom, Jimmy Buffett, one of the most popular artists to play at the venue over the decades, recalls the first-ever organized conga line that happened during his hit song, “Volcano.” “The ushers were not ready for the Parrot Heads, I don’t think. They couldn’t quite figure out when people started getting up and this line started snaking through.” When country, hip-hop, pop and rock musicians started to appear at Blossom, a new generation of fans began to arrive. Catch a glimpse of some of the biggest names to appear at Blossom, and hear testimonies from artists, photographers and fans as they recount a half-century of stories and favorite memories. While reflecting about Blossom, longtime bassist with The Cleveland Orchestra Martin Flowerman said, “It’s really one of the envies of visiting artists when they come to Blossom. They rave over it.” The Orchestra and their performances at Blossom through the years have produced an incredible bounty of music and memories. From a stunning encounter with legendary conductor Leonard Bernstein to ending one particular performance in the dark, find out about the most memorable moments from the summer home of The Cleveland Orchestra. Musicians, conductors, Orchestra leadership and Robert Conrad of WCLV 104.9 ideastream provide their commentary. 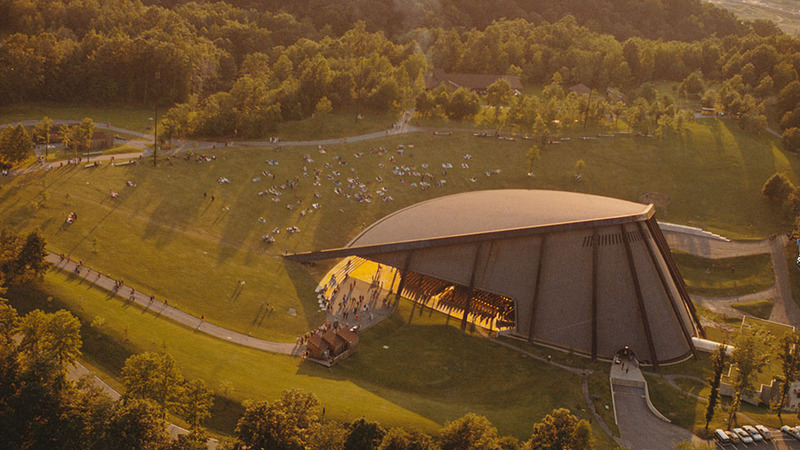 Funding for Blossom Music Center – 50 Years and Counting comes from the residents of Cuyahoga County through a public grant from Cuyahoga Arts & Culture and contributions to the ideastream Campaign for Community.